Kids learn several parts of a book from a young age. A title page is one of them. It’s a simple page that doesn’t have any illustrations. 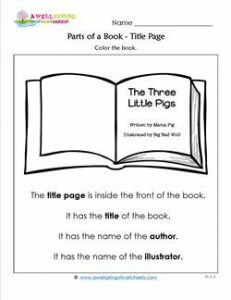 This worksheet shows kids what’s on a title page – the title of the book, the author and the illustrator’s names.